For workgroups who demand a compact, help flexible and easy to use multifunctional device, the ECOSYS M3040idn and ECOSYS 3540idn offer the ideal solution. 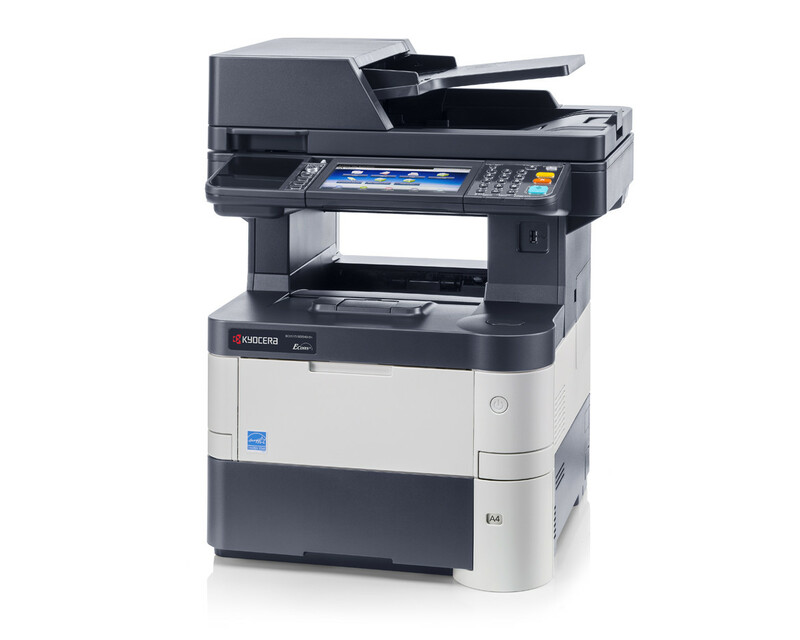 Both models have been designed to maximise efficiency of document throughput whilst minimising user time. Thanks to their full colour touch screen operation panel and integrated HyPAS™ platform, users can customise these devices to suit their specific needs. With output speeds of 40 pages per minute users need also not compromise on workflow efficiency. Add to this, long-life components that provide exceptional reliability and low running costs which minimise the impact on the environment, these devices really do offer an unbeatable package.